This post is about the Odia library movement and the conventional archival, touch-bases on the problems with dissemination of knowledge with more public domain books that are entering into the "rare and perishing" category, a comparative study of the conventional and new medium--like Wikisource--for book archival. It sheds light on how Wikisource functions as a collaborative platform in engaging with readers for digitizing books that are yet to be digitized. 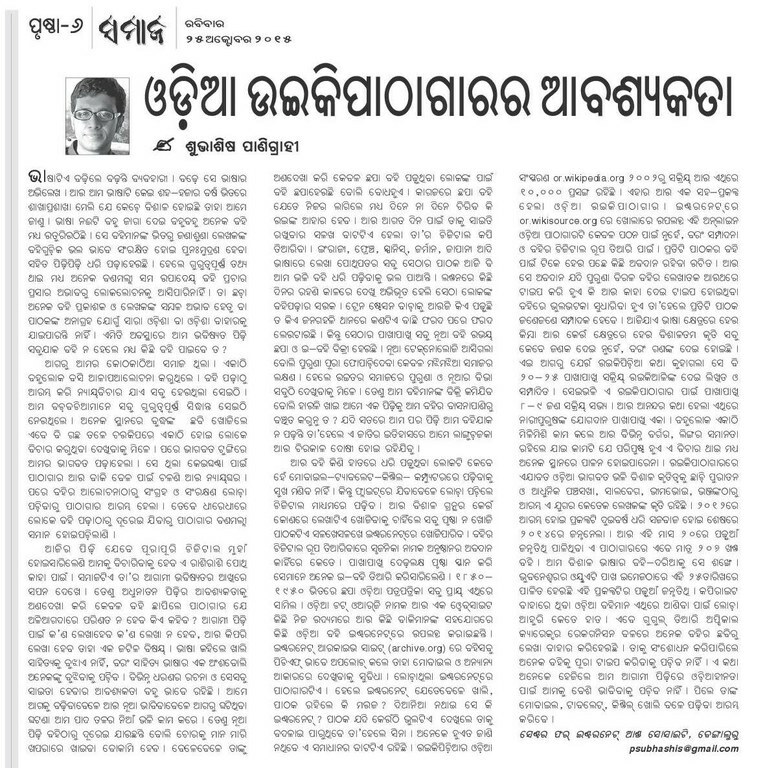 The op-ed was published in Samaja on October 25, 2015.